Whenever anyone from outside the animation world decides to turn their hand to working in the medium, it always attracts a lot of attention. It gains interest from people both in the animation community and the wider film enthusiast circles. It can provide some very interesting results though, such as with Wes Anderson and Rick and Morty's Dan Harmon in the world of TV. The latest live-action film-maker to dip a toe into feature animation is Charlie Kaufman, best known for writing films such as Being John Malkovich and Eternal Sunshine Of the Spotless Mind. 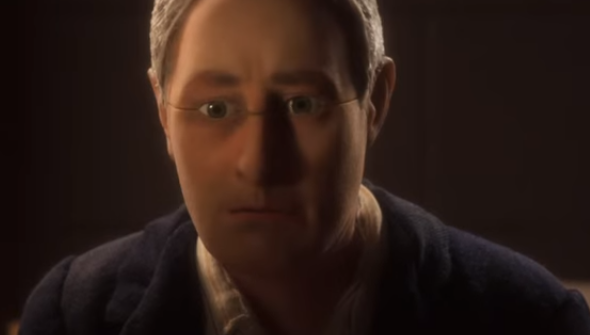 Kaufman's Anomalisa is a stop-motion adult animation drama which has been winning plaudits across the board following festival screenings, and is being mentioned in relation to 'film of the year' conversations. Kaufman shares directing credit with Duke Johnson. The film was partly funded through crowd-funding, but now non-backers can see the film in motion for the first time in the new trailer. It's a technical marvel, with beautiful animation from Johnson and Starburns Industries (best known for Moral Orel and Rick and Morty). As with all of Kaufman's work it won't be for everyone- but it's undoubtedly going to be one of the more unusual animated films of recent years. Anomalisa will be on limited release in the US from December 30th, and will open in the UK March 2016.